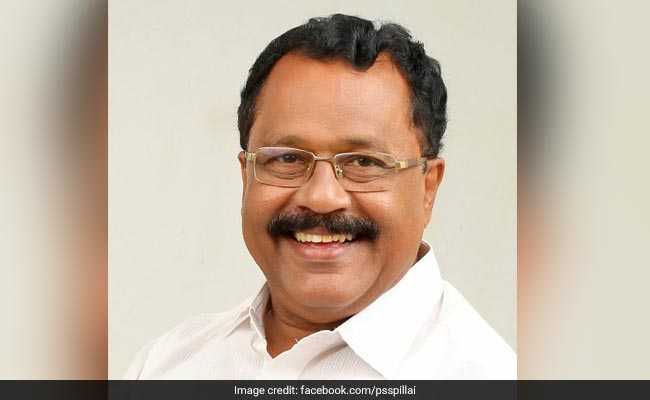 Kerala BJP president PS Sreedharan Pillai on Friday moved the Kerala High Court seeking quashing of a complaint registered against him by the police for his speech on the Sabarimala protests. The First Information Report was registered in Kozhikode on a complaint by journalist Shybin alleging that Mr Pillai, while addressing a meeting of the Bharatiya Janata Yuva Morcha or BJYM state council, had instigated activists to protest the entry of women of menstrual age into the hill shrine. In his petition, Mr Pillai claimed that he had not made any statement with an intention to cause any fear or alarm among any section of the public, so as to induce a person to commit an offence against state or against public tranquility. He has alleged that certain portions have been left out from the speech by the media and only selected portions have been shown. A case has been filed against BJP state president under section 505(1)(b), for causing public alarm and fear. He also claimed that the views expressed by him in an exclusive party function would never attract IPC section 505. Mr Pillai said he cannot be held liable for media interpretations given to edited portions of his speech telecast by certain "media houses with vested interests". TV channels last week aired a video clip in which Mr Pillai had purportedly said the Sabarimala agitations were "planned and orchestrated" by the party as part of its "agenda" and was a "golden opportunity" for it. He had also said Kandaru Rajeevaru, the head priest of the hill shrine, had sought his opinion on closing the sanctum sanctorum to prevent women of menstrual age from entering the shrine when it opened from October 17-22, kicking up a huge row. In his speech he was heard saying that the head priest followed his advice despite fear of contempt of court. He could also be heard saying that the head priest "would not be alone" and would have "the support of thousands of devotees and the BJP".